At least an astonishing 22 golf clubs have come onto the UK market in the last 13 weeks – and the figure excludes a major golf hotel and a huge Irish golf club that have also been put up for sale. The rate of nearly two golf clubs hitting the market a week is the fastest the industry has seen since the economic downturn started in 2008. The incredible scale started in August when Forest Hill Golf & Conference Centre in Leicestershire was put up for sale with a guide price of over £2m. The National Forest property’s facilities include a par 73 18-hole, 6,490 yard, championship golf course, a flood lit 26 bay driving range and a 11,700 square feet clubhouse. At the end of August Fingle Glen Golf Hotel in Exeter was put on the market for £3m. The 112-acre site comprises an 18-hole golf course and a two-storey clubhouse with bar, restaurant and nine en-suite bedrooms. It also features 24 log cabin holiday lodges. Income at the venue is generated through conferences and functions, including weddings. Annual turnover is estimated to be £1.1m. At the same time, Huntswood Golf Club in Buckinghamshire became available at a guide price of £1.75m. The 18-hole golf course features a putting green, practice hole for teaching purposes and a greenkeepers’ building. The spacious modern clubhouse includes a recently refurbished bar and restaurant area that opens onto an outdoor terrace with views over the golf course. Within the clubhouse there is also a shop, changing rooms, meeting room, kitchen and first floor loft conversion currently used for office space. Turnover was approximately £760,000 last year. In September, Eccleston Park Golf Club in Merseyside was put on the market at a guide price of £1.45m. The 18-hole course is on the 123 acre site near Rainhill and includes a clubhouse and practice facilities. The business has an operating profit of £160,000 on a turnover of about £750,000. A few days later, Stockwood Vale Golf Club in Bristol was offered to the market at a guide price of £1.425 million. The club comprises a high-quality 18-hole 6,060 yard (par 71) golf course, 14-bay floodlit golf range, practice facilities and an attractive two storey clubhouse (which includes a three bedroom apartment), along with a modern greenkeeping complex. The profitable family-owned business has more than 550 members and generates turnover of approximately £800,000. In October it was revealed that Windwhistle Golf Club in Somerset had been sold to local businessman, Steve Hill, who has rebranded the club, on behalf of a private client. The 18-hole golf course opened in 1932 and includes a putting green and 10,000 square feet clubhouse. Hill said: “I have been a member at Windwhistle for many years and having seen the return to agricultural use of many local golf courses I was determined for Windwhistle to continue and make it a premier golfing destination. The site also has planning permission to build 47 self-contained accommodation units and two squash courts. Also last month Wirral and West Cheshire councils announced they had put up for sale seven municipal golf clubs: Arrowe Park, Brackenwood, Bebington, The Warrens at Wallasey, Hooton, Knights Grange and Westminster Park. The two authorities say the proposed sell-off will ensure improved facilities and the preservation of a ‘pay and play’ policy for golfers who do not want to go to the expense of club fees. Councillor Stuart Parker, Cheshire West and Chester council’s executive member for culture and economy, said: “Many private sector courses are providing pay and play rates that compete with municipal courses. “Consequently, the council has agreed to look at the market to provide golf course operation, secure capital investment to improve the courses and reduce current subsidy. The biggest sale of them all also took place in October, when a billionaire American business tycoon became the latest foreigner to buy a major UK golf club in 2014 – Lough Erne Resort in Northern Ireland. The five-star hotel enjoyed global exposure last year when it hosted the G8 leaders, including US president Barack Obama and Russian president Vladimir Putin. The resort has been sold to Lough Shore Road – a private hospitality company led by US-based investor Tralee Portfolio Management, an affiliate of the Saliba Family Office. Chicago businessman Tony Saliba is a former market trader dubbed as the ‘Market Wizard’. The price paid for the Lough Erne resort, which was placed into administration in 2011, was not revealed although it is understood to have been sold for less than £8m – a fraction of the original £30m asking price. Then, in November a housing developer approached Cambuslang Golf Club in Scotland with a view to purchasing the nine-hole course. Also this month, Carden Park Hotel, Golf Resort and Spa broke away from the De Vere Group after 14 years to become a fully independent venue. Then, came the news that all six of De Vere’s golf clubs, Cameron House, Loch Lomond; Dunston Hall, Norwich; Oulton Hall, Leeds; Mottram Hall, Macclesfield, Cheshire; Slaley Hall, Hexham, Northumberland; and Belton Woods, Grantham, Lincolnshire, had been sold to global investors. The liquidity in the market is not just confined to the UK. Waterford Castle Hotel in Ireland, which has been put into receivership, is up for sale. The venue includes an 18-hole golf course as well as a clubhouse and 48 garden lodges. The sellers are hoping to receive more than £3.6m. It’s previous owner ran up debts of about £27m. And offers are being invited in the region of £7 million for The Marine Hotel, a four-star hotel situated next to Royal Troon Golf Club’s 18th hole. Built at the turn of the 20th century, the 89-bedroom coastline hotel, which offers spectacular views across the Firth of Clyde to the Isle of Arran and Ailsa Craig, is one of the most well-known and iconic hotels in Scotland. Seeing details of the 16 clubs up for sale conveys bad news to members of traditional golf clubs. Despite changes in the market, a properly managed golf venue remains a good business proposition and there is every prospect that some of these courses will become pay and play venues that seriously increase the competition to traditional clubs in their area. The best hope for the local traditional clubs is that some of these courses are removed from the market surplus. Whatever the fate for these courses the development places even greater emphasis on the requirement for traditional clubs to accept that changes in fashion and in the golf market mean that they cannot continue with ‘sticking plaster’ management policies. Even clubs that started to take action some ten years ago when the present trend was first identified have not yet engineered sufficient changes to meet the new market requirements. Clubs need to recognise that the whole face of golf is changing fast and if they wish to continue as members clubs they have got to lead the way in providing the new consumer experience that will secure their future by providing a substantial flow of revenue to support dwindling membership fees. It’s not too intellectually challenging, the main requirement is to stop prevaricating and accept the situation as it is. Those who do and get to work to meet the new requirements will be the ones that survive. Amazingly Bob – since the story was written yesterday.. another six golf clubs have been sold! There is no real surprise here. It is amazing how difficult it is to get golf club committees to accept that there is a very real problem. Many live in a sort of vacuum. They have always been a member of the same club and in the distant past they remember people saying that there was a problem, but everything was OK in the end! Many committee members do not see beyond this micro environment and cannot believe that they really will have to drastically change the way they operate. The apathy is frightening and is not really helped by the impression given by the ruling bodies that fiddling with membership categories and holding recruiting drives will solve the problem. It may help a little, but relying on it is really club suicide. I run footgolf courses and have 3 at present. Hi George – I source land for a promotion company in Oxford with major legal clout. If you have any sites that we can promote/option we would be very happy to discuss details. What is wrong with competition in the market place? Isnt this at the core of a capitalist society? 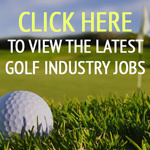 I am new to golf having only taken it up a couple of years ago, but I find a real lack of decent pay and play facilities and cannot afford the generally huge fees to join even the less fashionable clubs in my area. If membership fees were not so high I dare say more people would be willing to join, but this would mean less exclusivity and likely upset the old guard and isnt looking likely. In which case i will continue taking my sport direct golf clubs to the affordable pay and play courses in my area, where i dont get told i have the wrong shade of sock colour and either have to buy a £20 pair of socks or leave the facility. That is until i can afford the fees and will switch sides in a heartbeat.